Spinlock Deckware has endured thousands of miles sailing in the harshest competitive conditions across the globe. Its innovative design and application of Petzl climbing harness technology has resulted in a new level of on-deck performance. 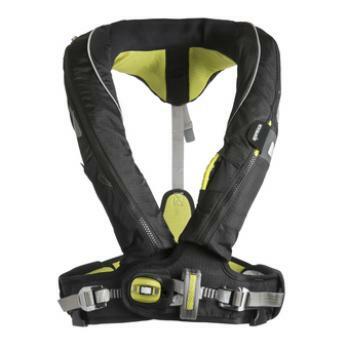 For sailors who prefer to wear and select their own deck safety equipment, the Spinlock Deckware Series is the first advance in harness design for a generation. Spinlock has radically re-designed personal deck safety equipment, adapting mountain and outdoor sports safety technology to meet the special demands of sailing. All harnesses use an instantly adjustable belt system around the chest or waist, resulting in a lifejacket harness that is fast to put on and adjusts automatically to fit the body and any changes in clothing. The ergonomic shape of both lifejacket and harness provides exceptional freedom of movement for both male and female users and is comfortable enough to wear continuously.